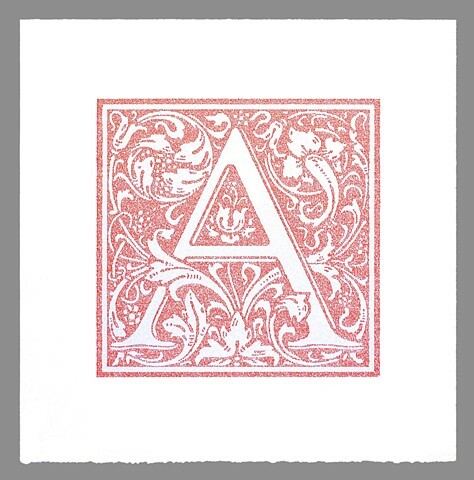 This letter A is created with text copied from a transcript of the Bertrand Russell speech/essay entitled Why I Am Not a Christian. Paper: 21 x 21 in. ; Image: 13 7/16 x 13 7/16 in.